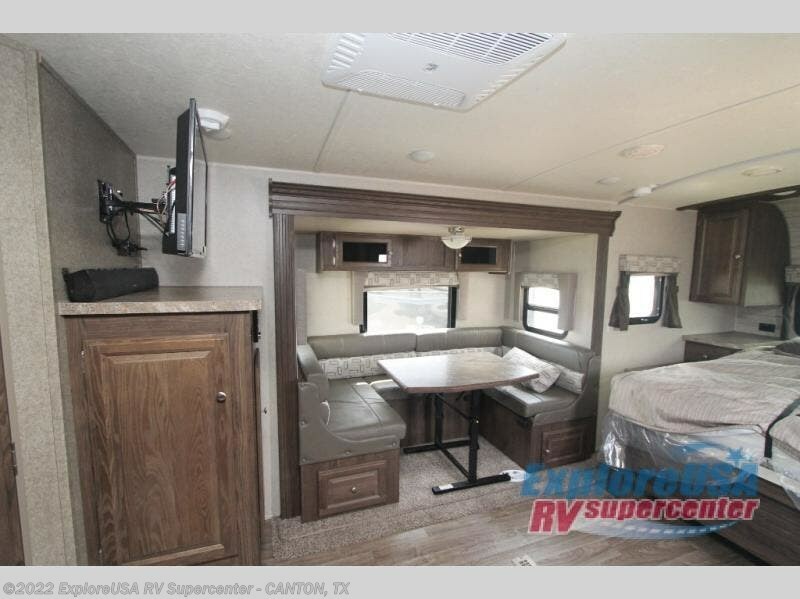 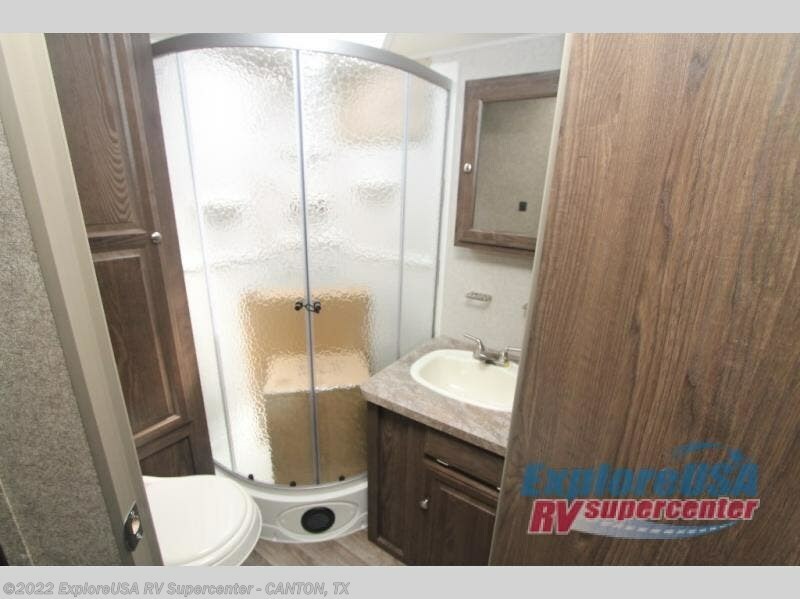 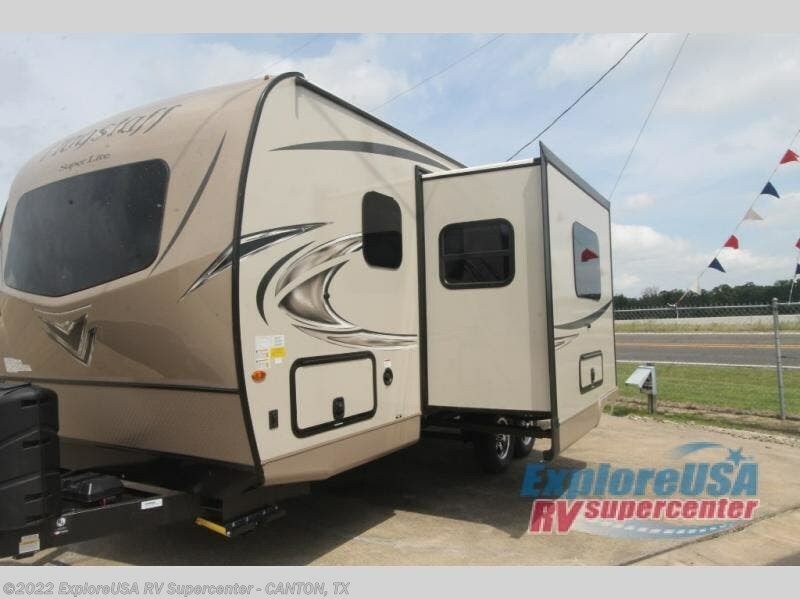 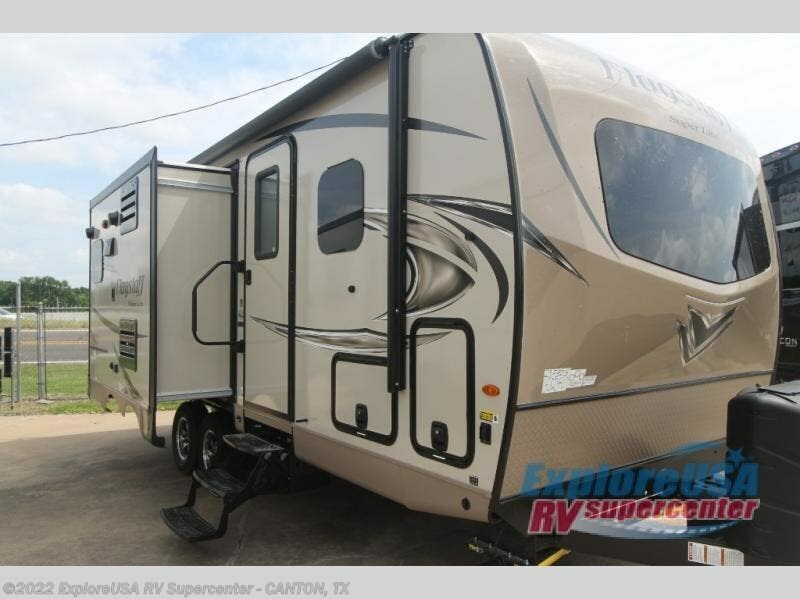 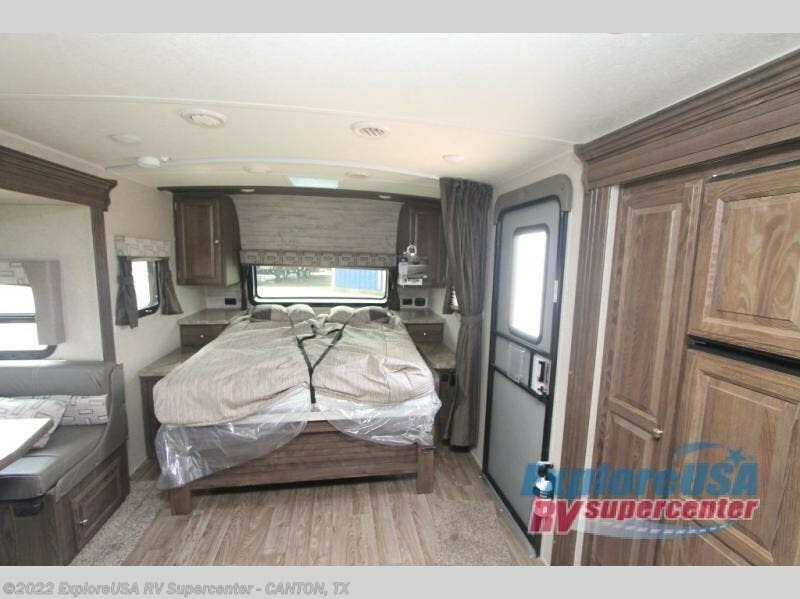 Depending upon the time of day that you enter this double slide out Flagstaff Super Lite 23FBDS travel trailer will determine if you see the 72" sofa or the 60"x74" Murphy Bed. 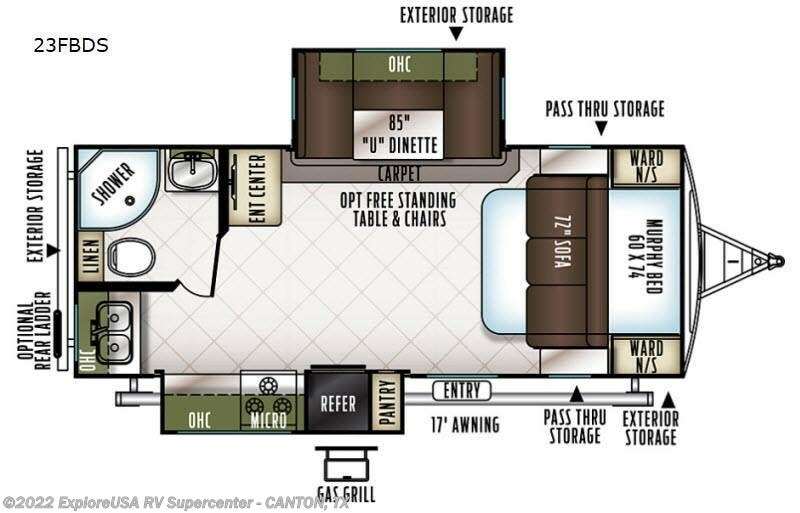 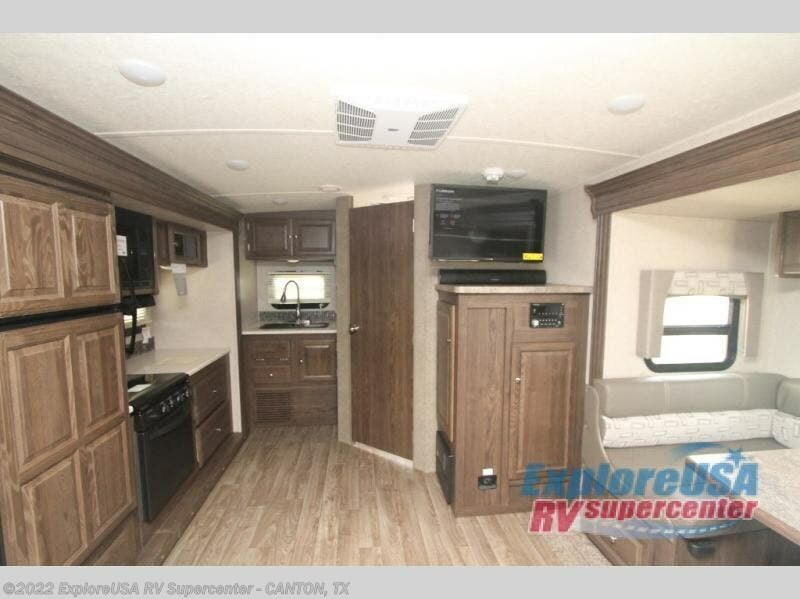 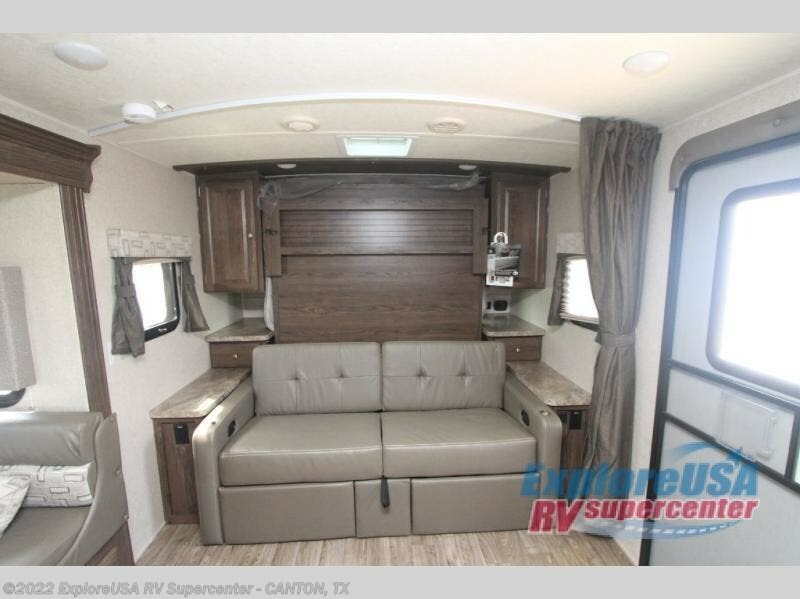 There is additional sleeping space for your kids or a guest or two at the 85" u-dinette. 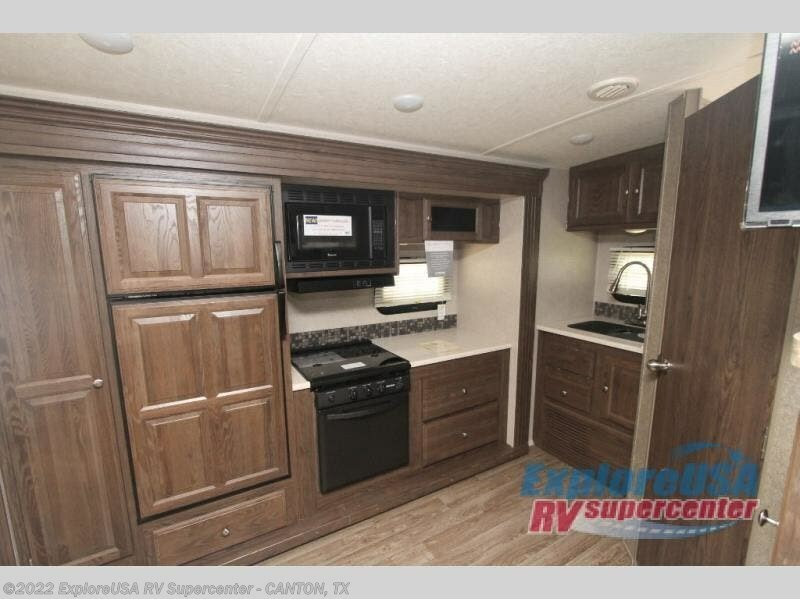 In the kitchen you will find solid surface countertops with a residential sink cover that adds a bit more work space. 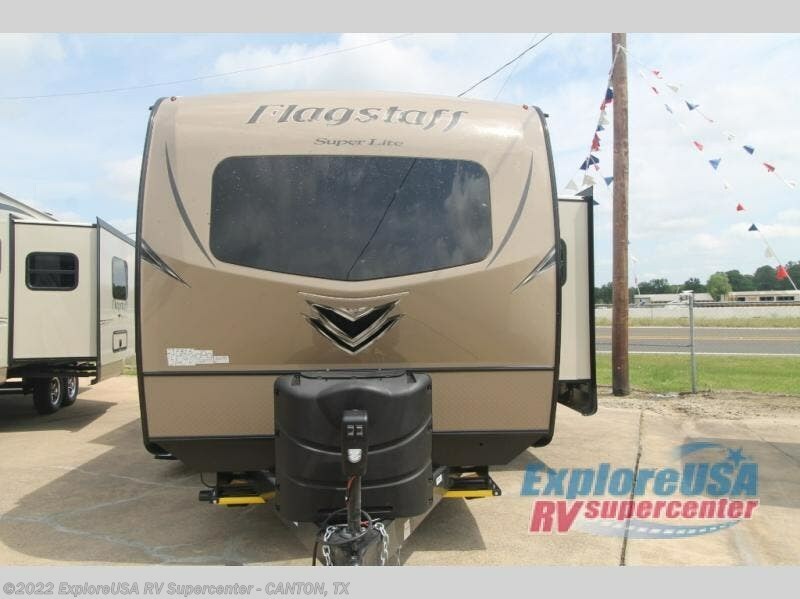 In the evening plan to visit outdoors under the 17' awning with LED lights, plus you can enjoy a little music at the exterior speakers and more! 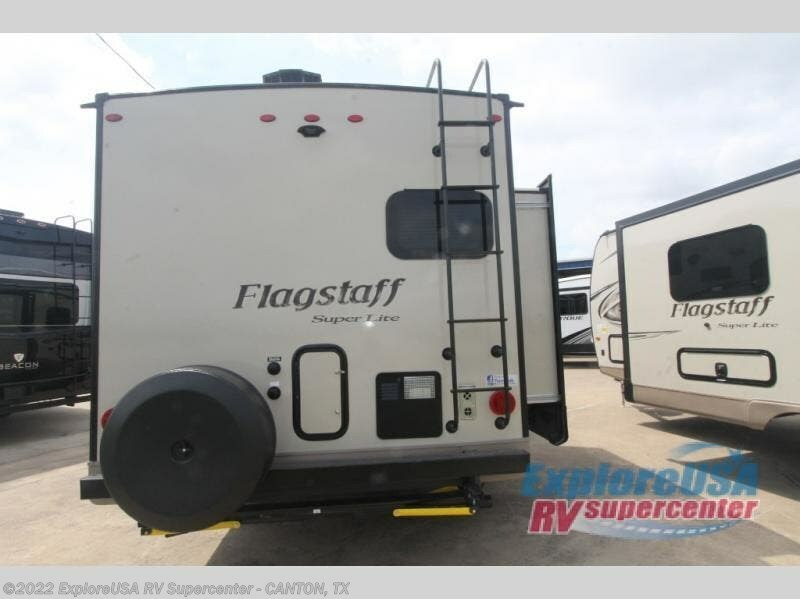 Check out Stock # W2242 - 2019 Forest River Flagstaff Super Lite 23FBDS on forestriverrvsource.com!